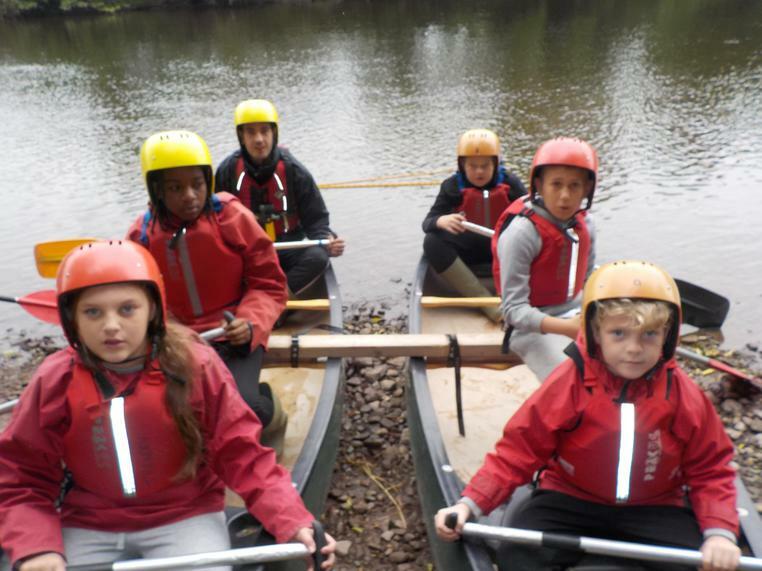 More photos to follow as we continue to sort through the 4000 taken. 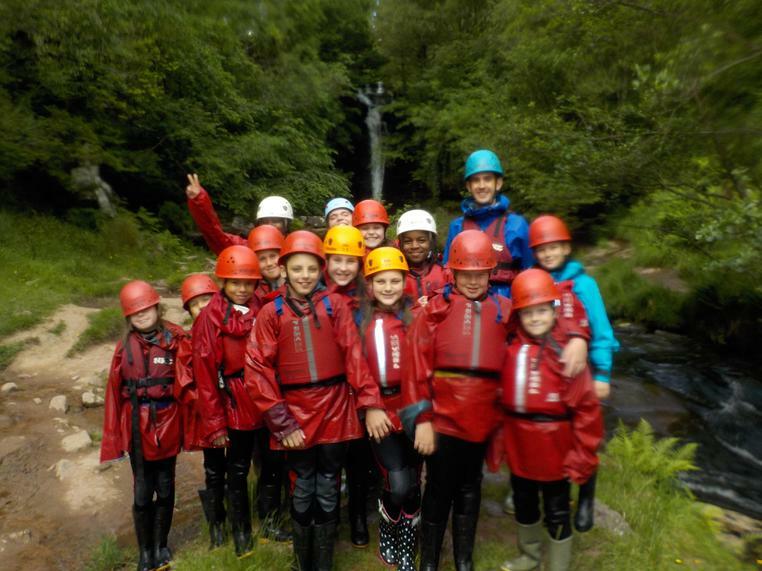 And so another incredible trip to Trewern comes to an end. 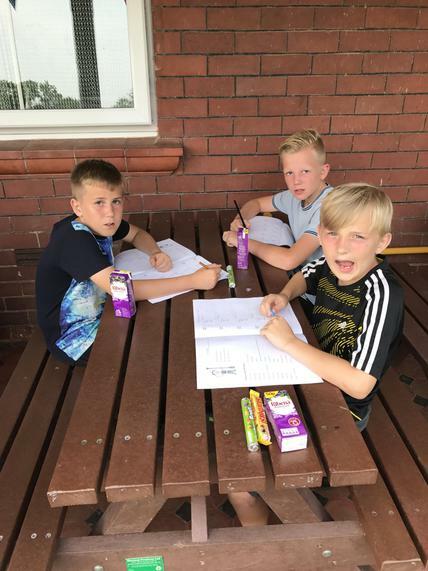 Once again, the children of Godwin have continued to excel and are a credit to the school. 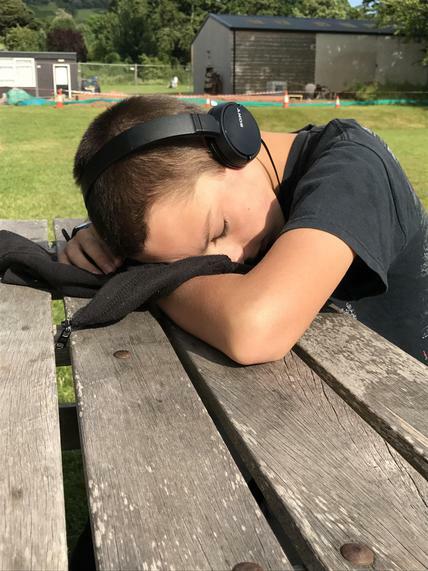 Today was certainly a struggle for some of us as exhaustion really kicked in. 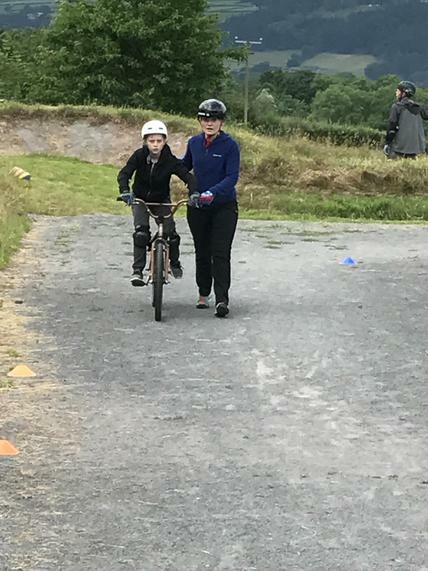 All the children preserved and managed to get themselves on track however ensuing they would get the most of their final day. 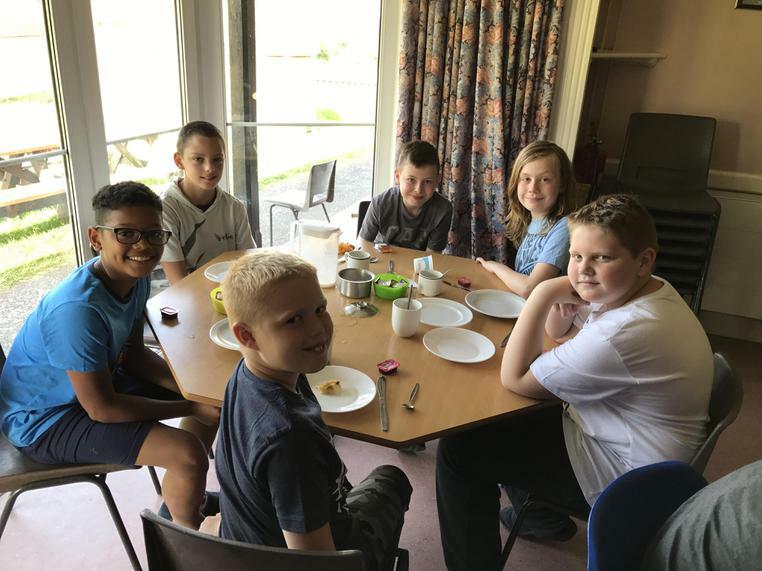 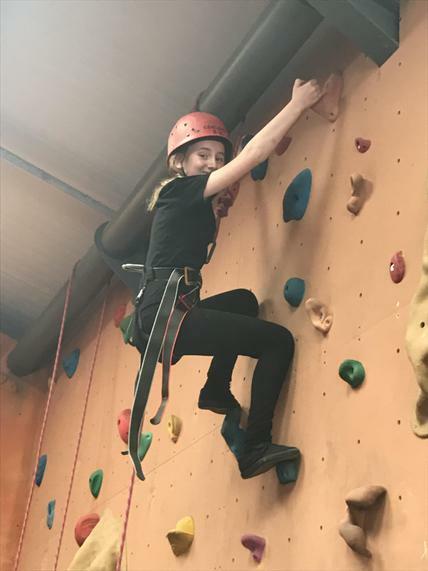 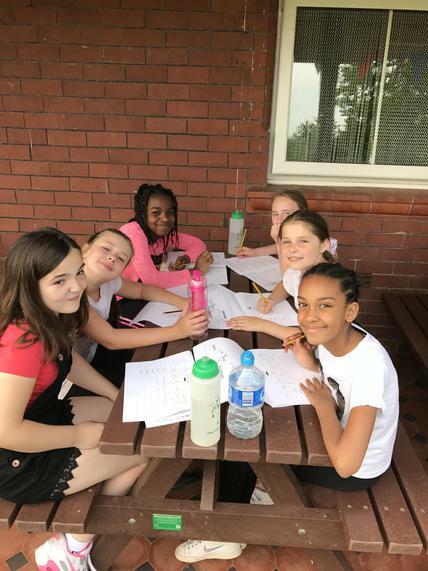 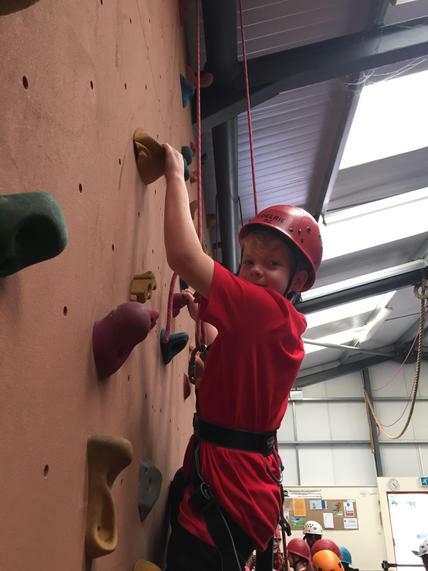 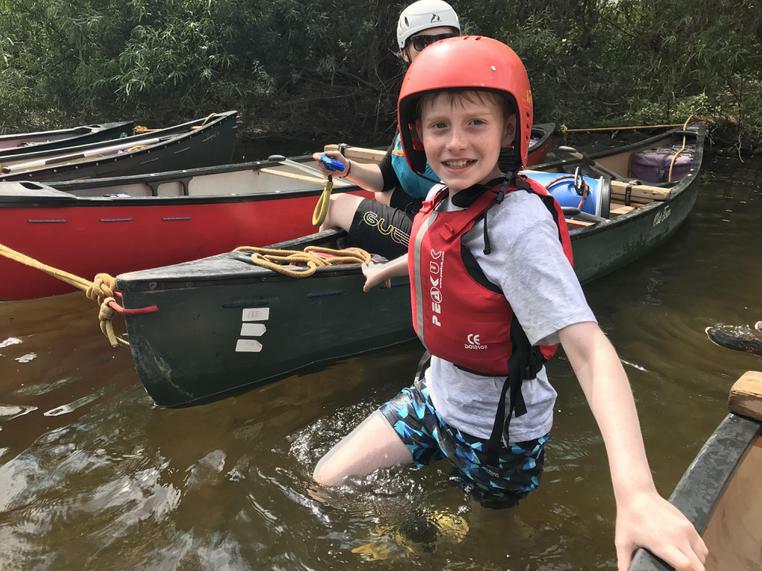 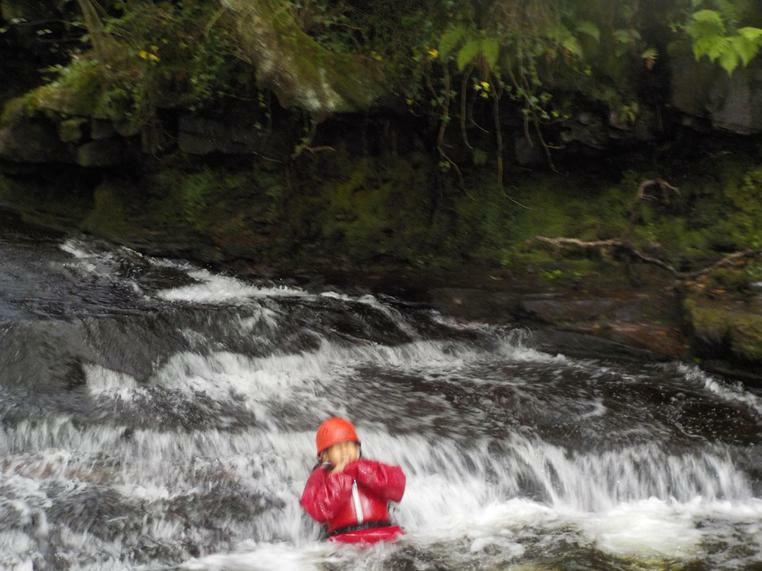 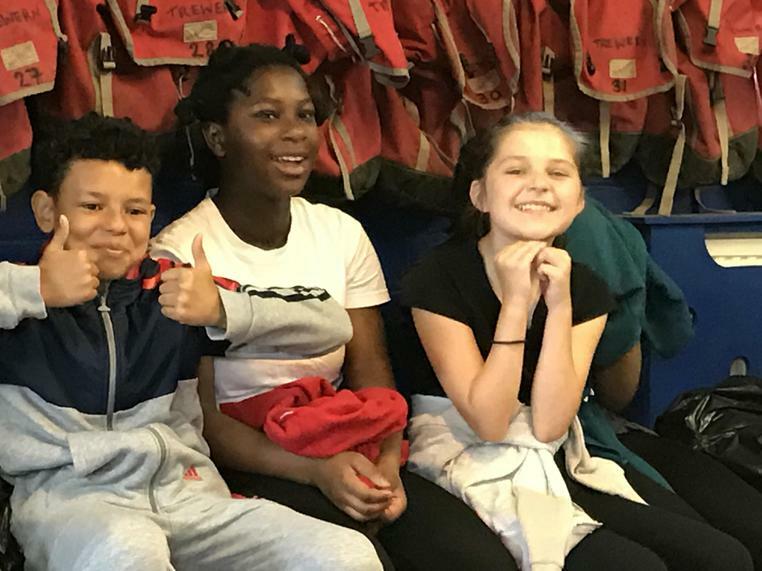 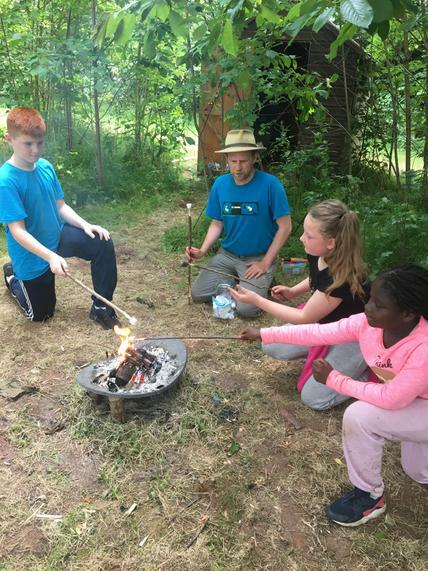 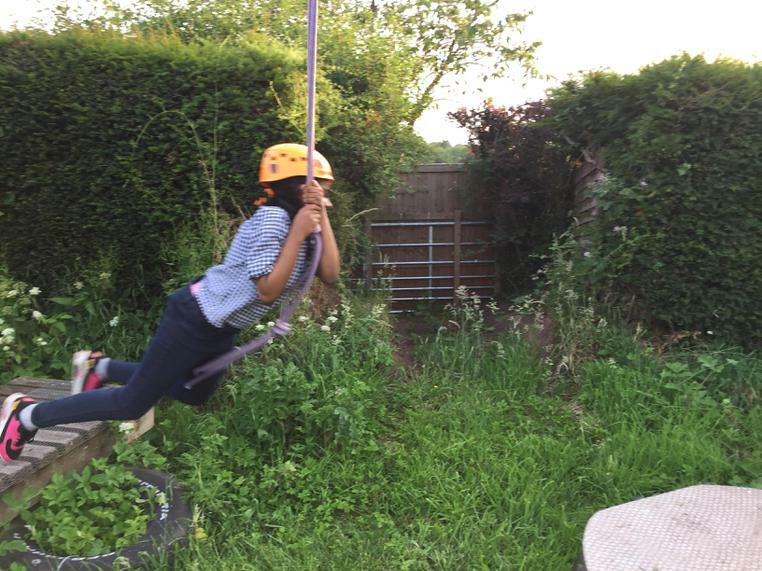 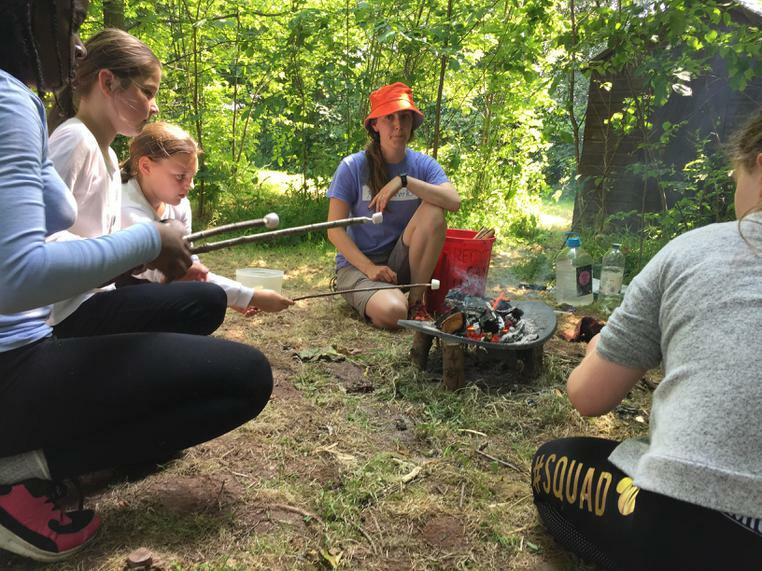 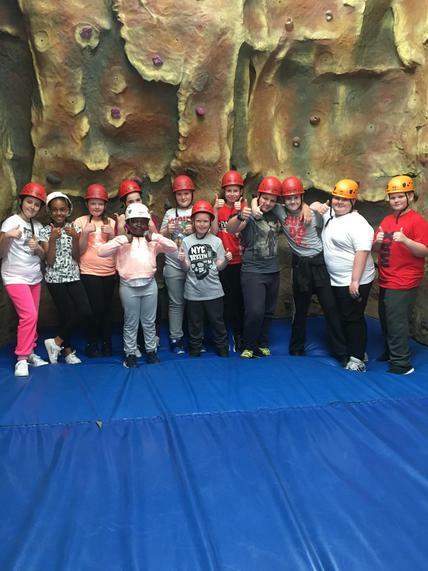 With a variety of different actives including caving, canoeing, climbing, forest skills and orienteering, the children throughly enjoyed themselves and showed incredible resilience. 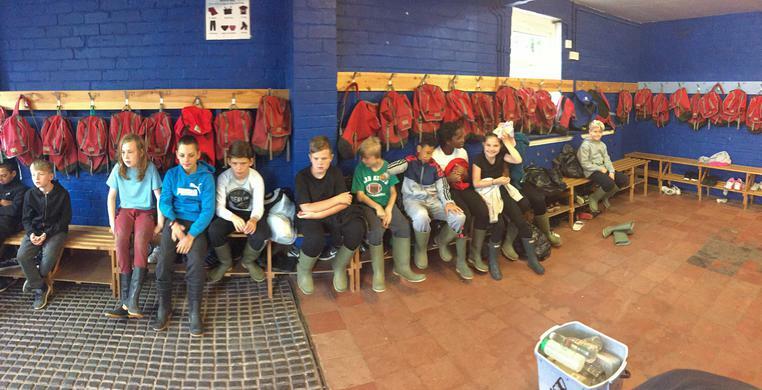 Nobody wants to leave (except maybe the staff) but as they say, all good things must come to end. 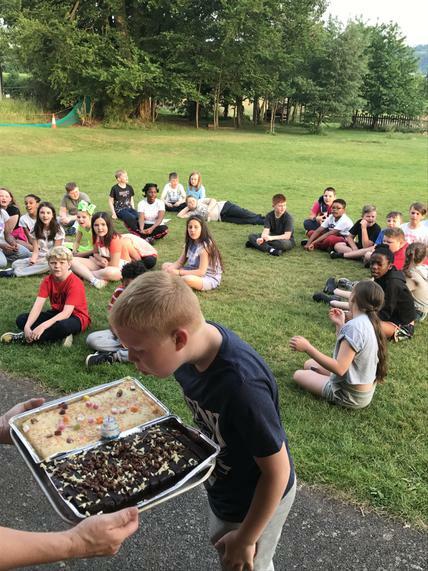 We would all like to thank the incredible staff at Trewern and are hoping we don't get stuck in any traffic on the way home tomorrow! 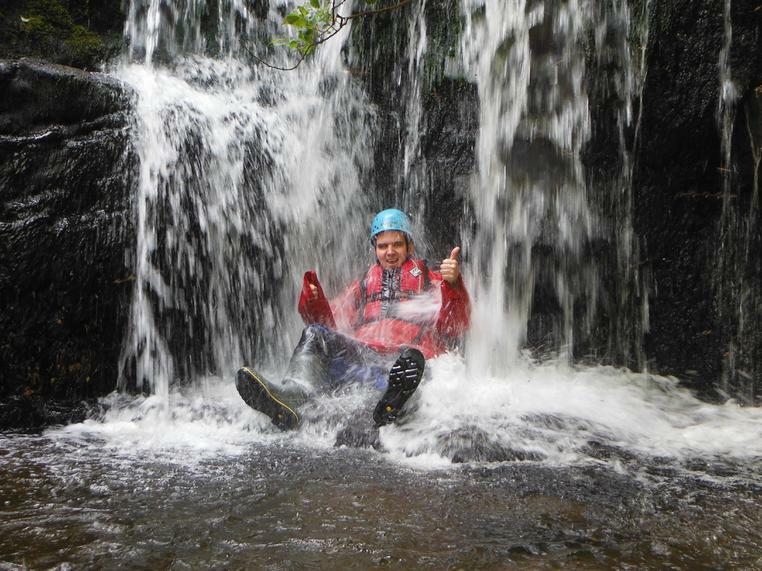 Thank you for following our blog and it will be updated with many more photos early next week. 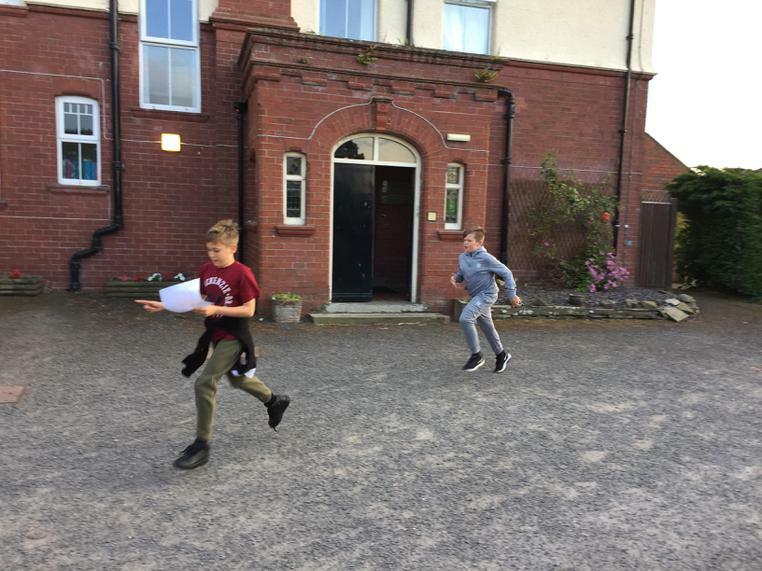 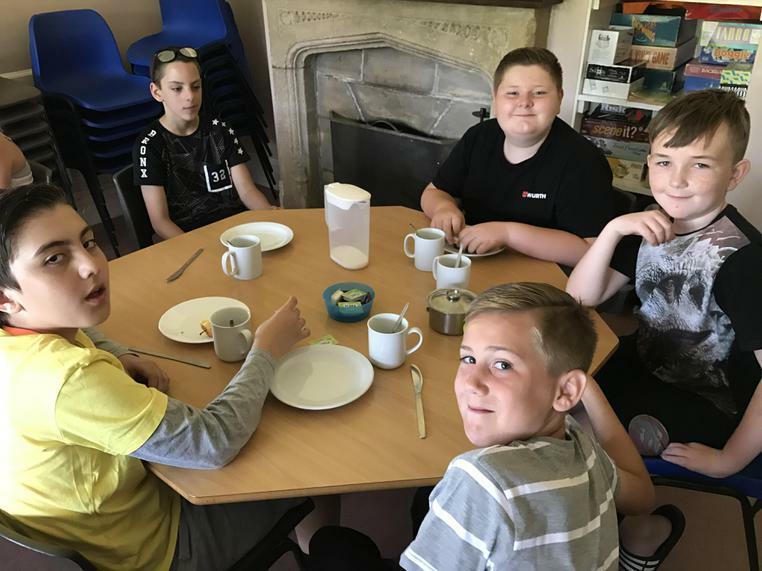 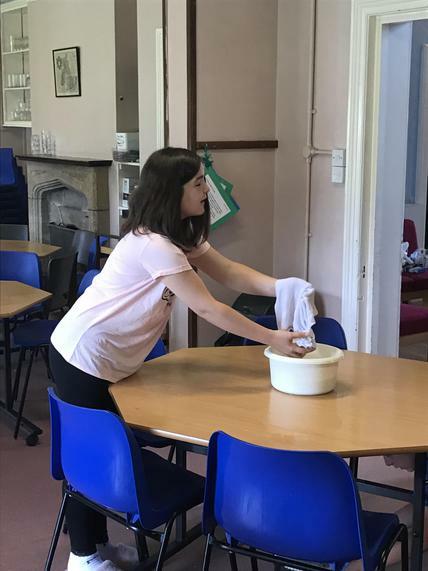 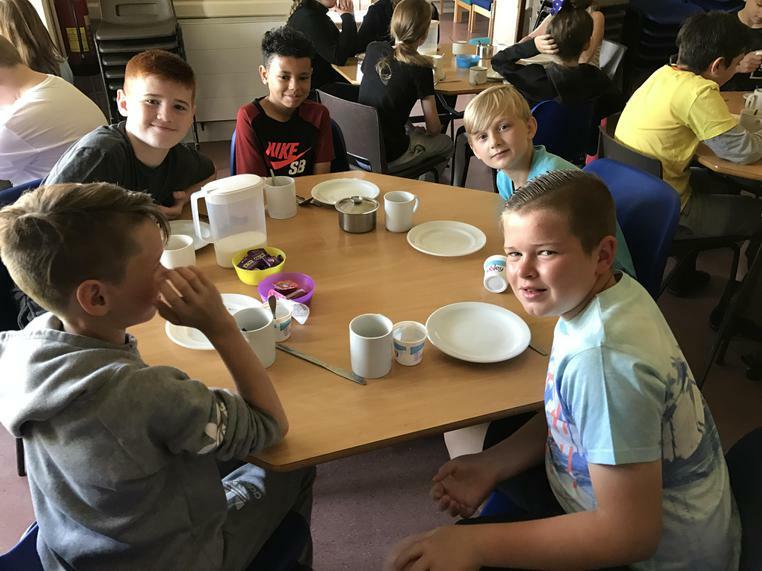 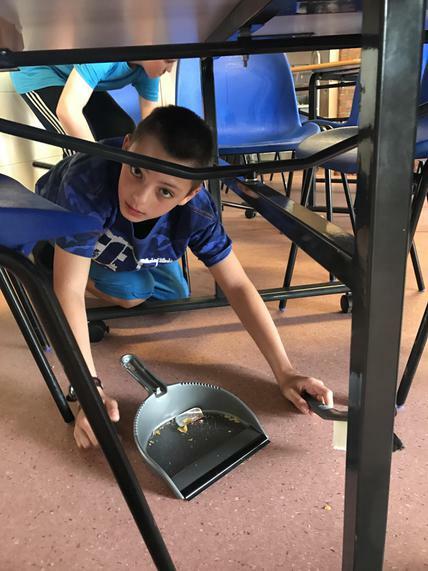 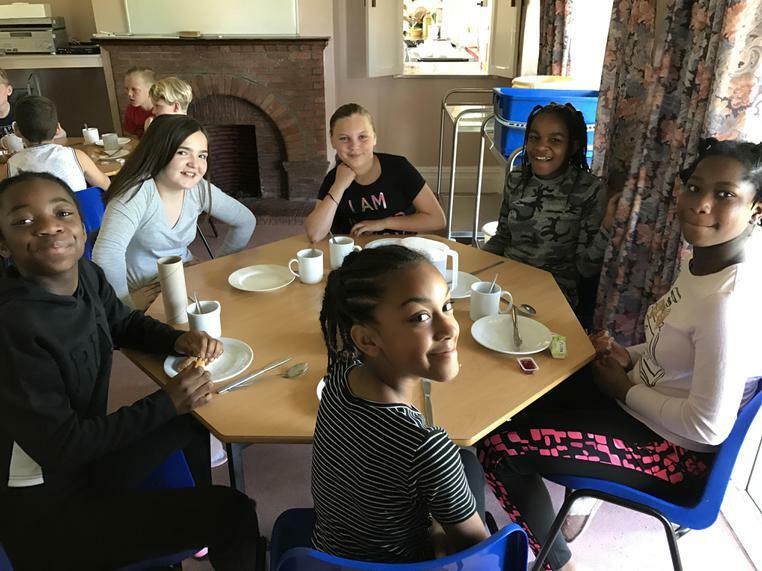 Wednesday's at Trewern are known for what is termed as the 'Wednesday dip' - as it's the middle of the week, this is where the exhaustion sets in and children struggle, somewhat, to get through the day. 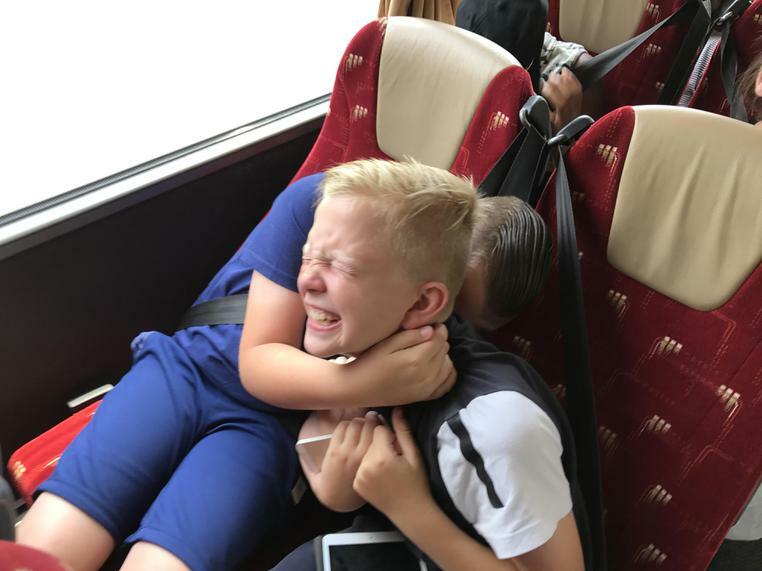 This was most certainly not the case today. 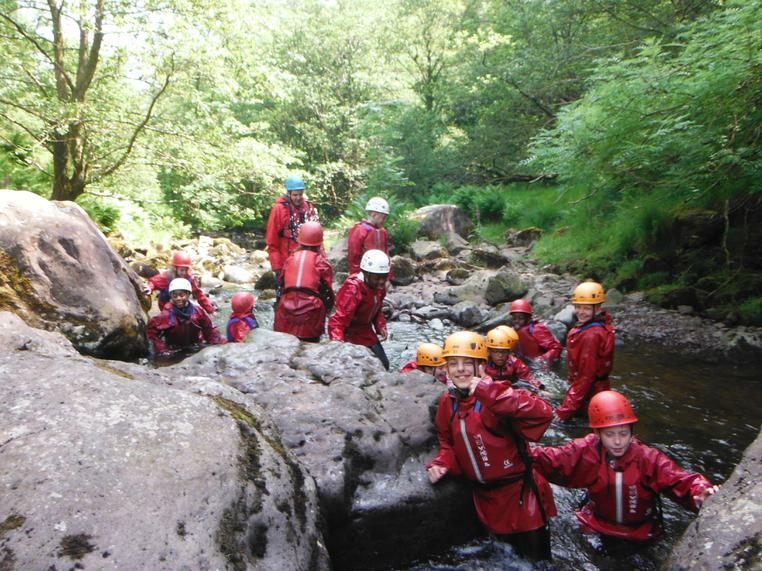 The children were even more engaged and better behaved today. 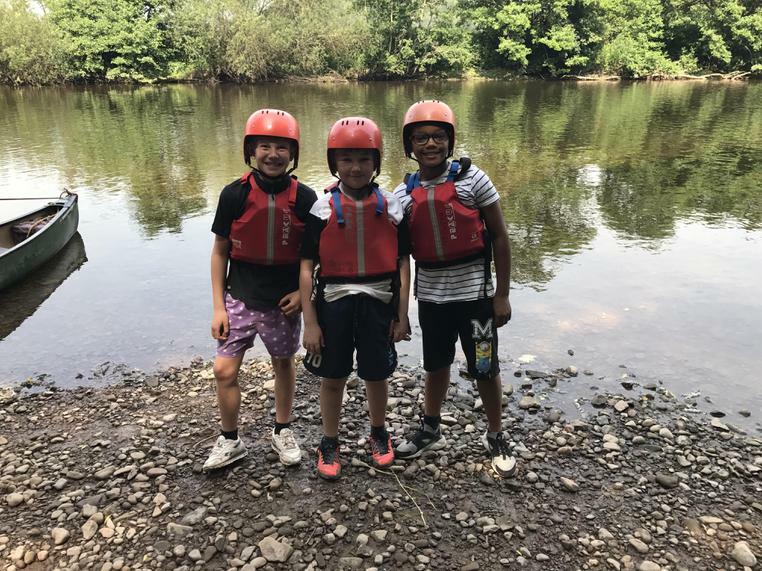 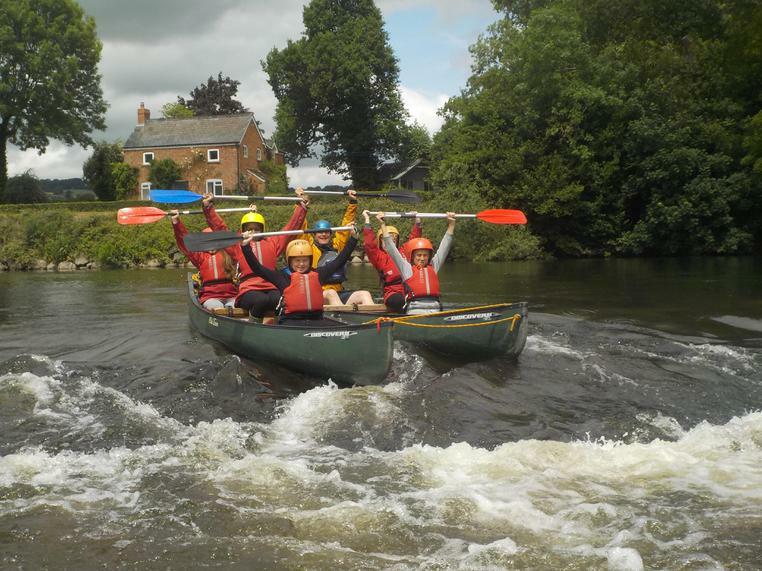 Group one began the day traversing the rapids of the river Wye before moving on to dominate the indoor climbing wall. 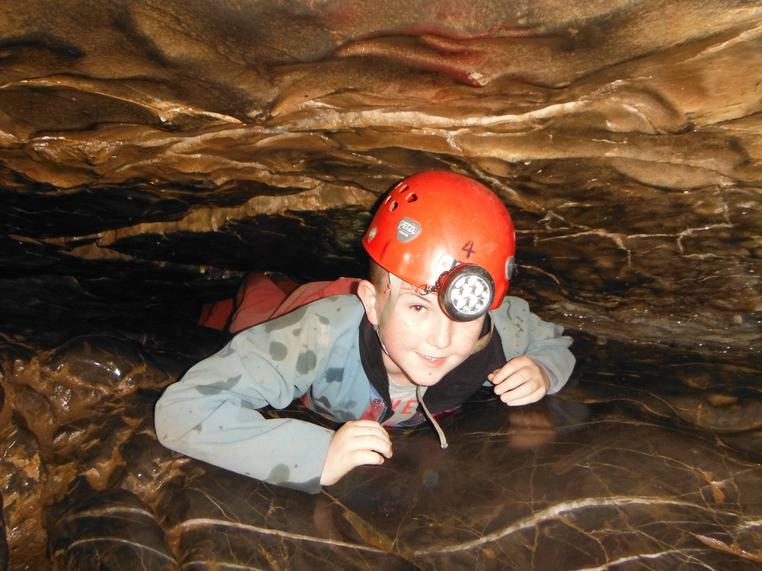 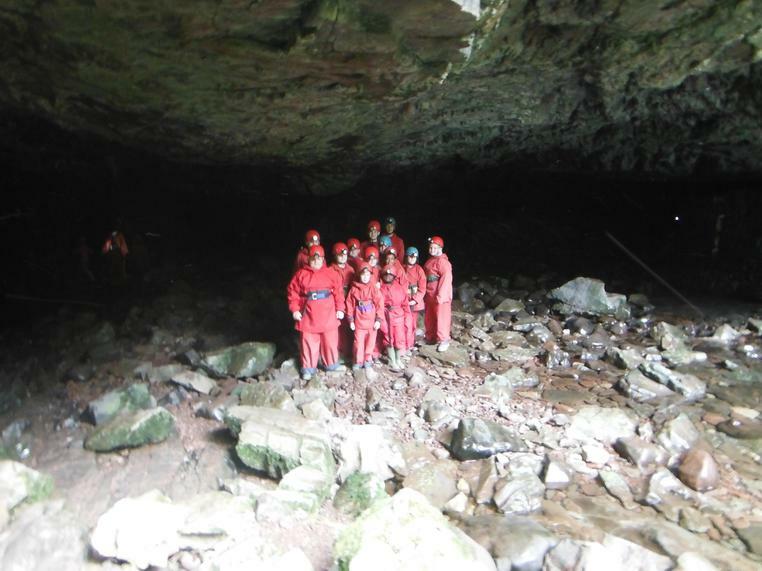 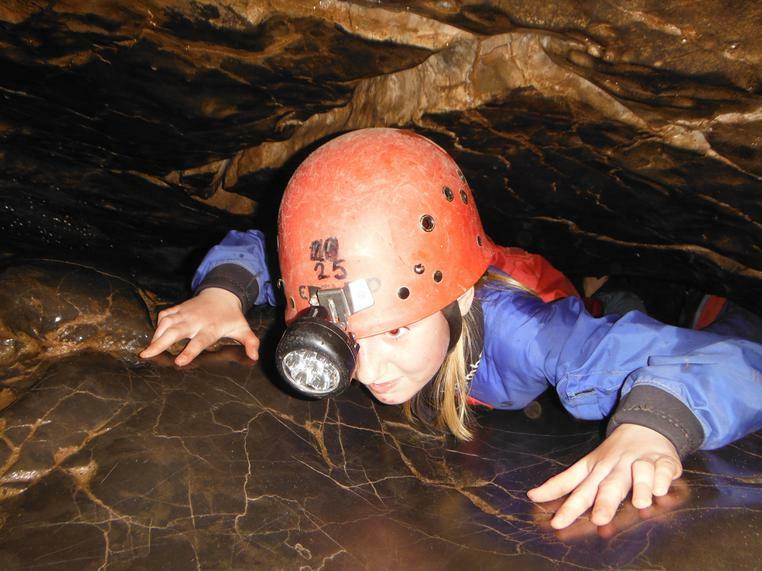 The second group conquered their fears by sliding through 'the letter box' and exploring the underground world of caves. 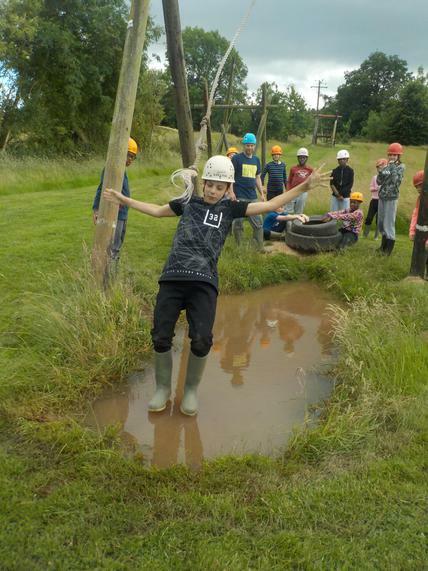 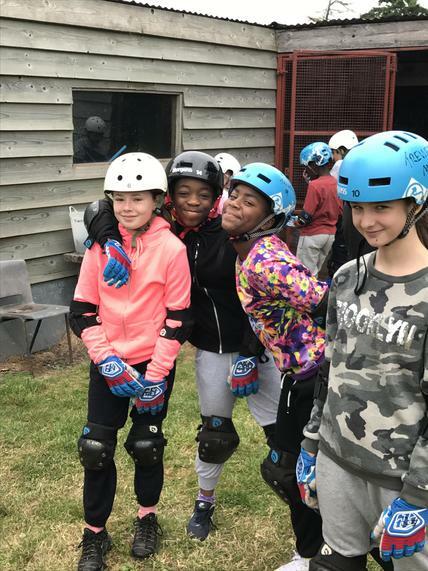 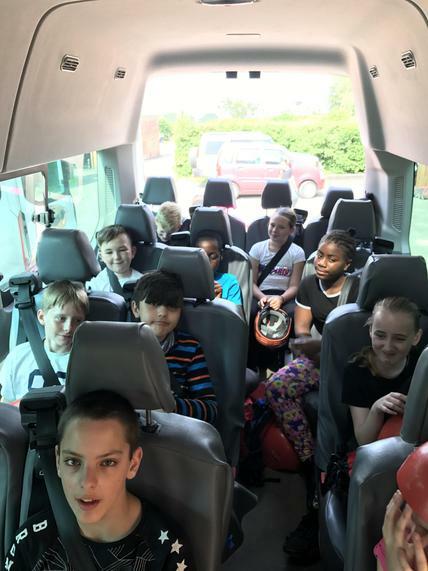 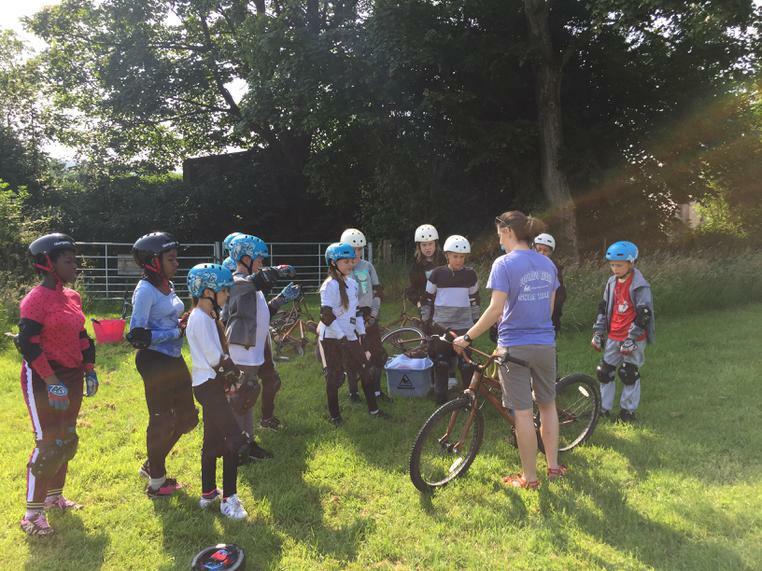 Finally, group three undertook a variety of activities including racing across the BMX track, learning new forest skills and ending the day with a 'dip' in the famous muddy puddle. 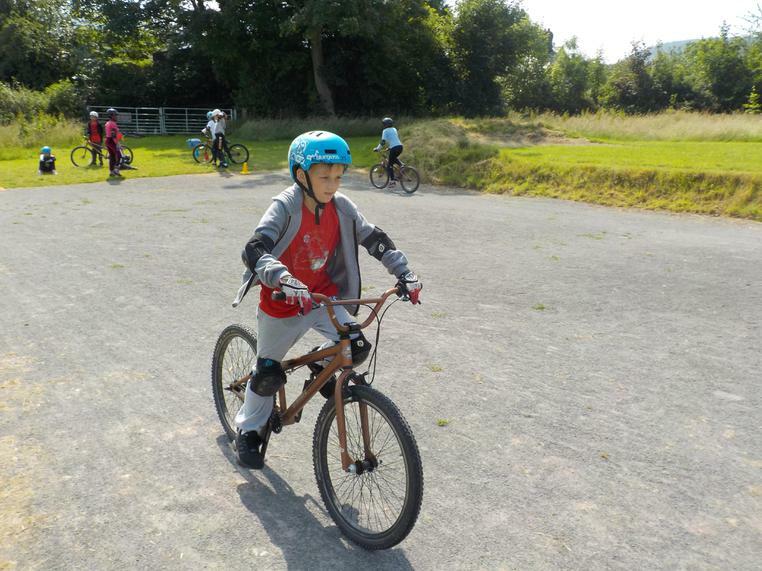 Given how tired everyone was and the fact that this was the hottest day in years, the children have been amazing. 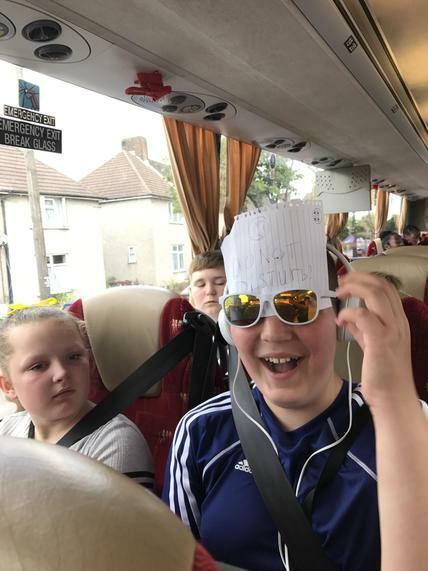 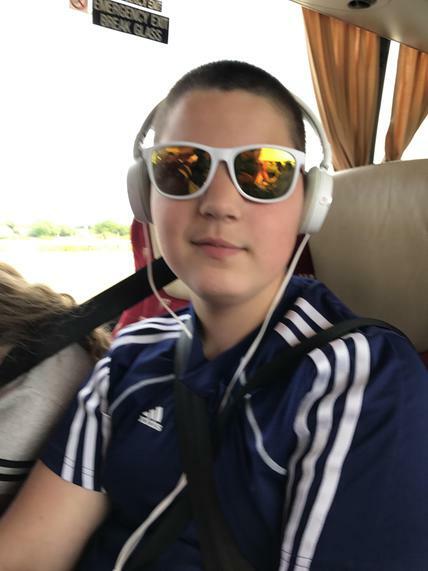 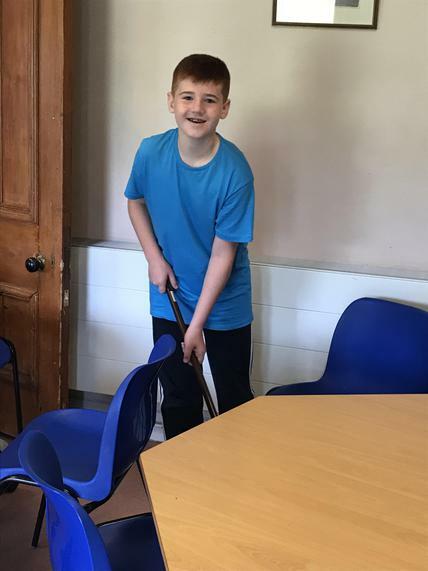 Lets not forget that today was also a special day for another member of 6M - we would all like to wish Sam the happiest of birthdays and were thrilled we could celebrate with him. 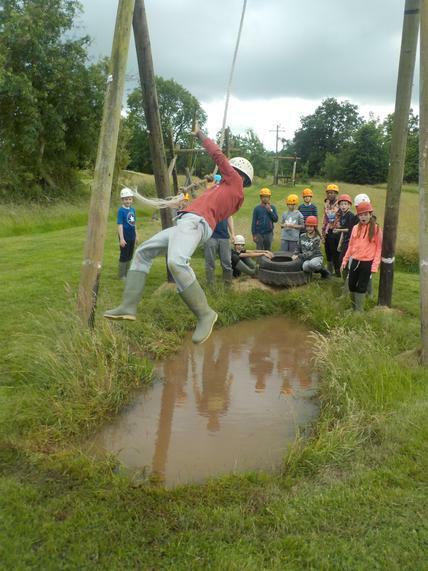 Well it certainly was another hot day here at Trewern; the children have continued to excel in all aspects. 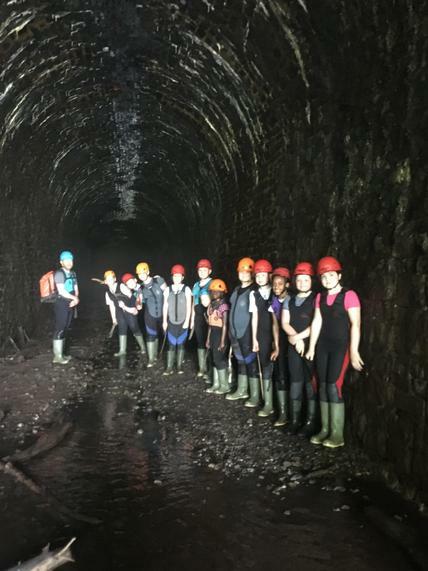 Today, groups 1&3 had an opportunity to explore an old, abadoned railway tunnel. 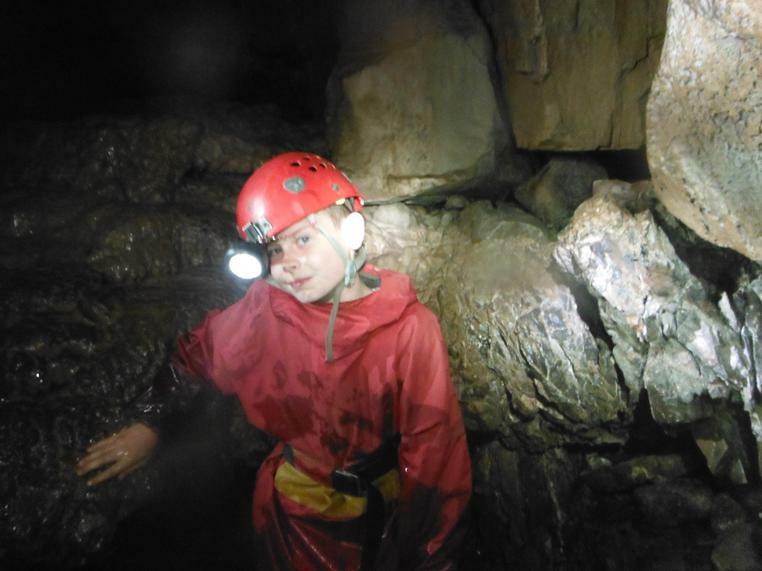 Trekking through the pitch black tunnel was a real challenge but the children walked together and persevered. 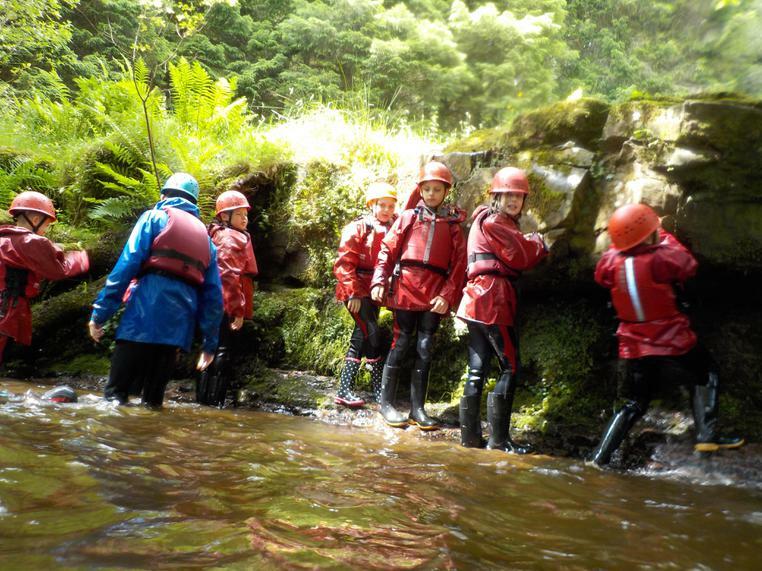 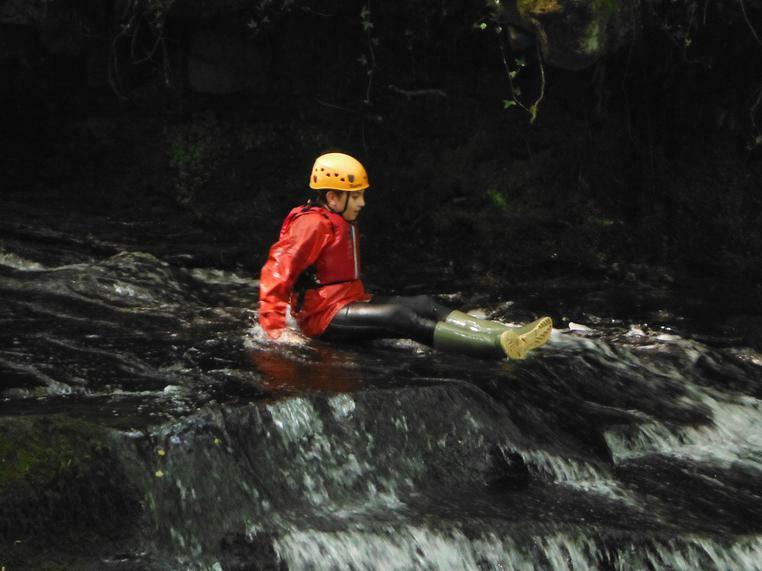 They also had an opportunity to try their hand at some gorge walking. 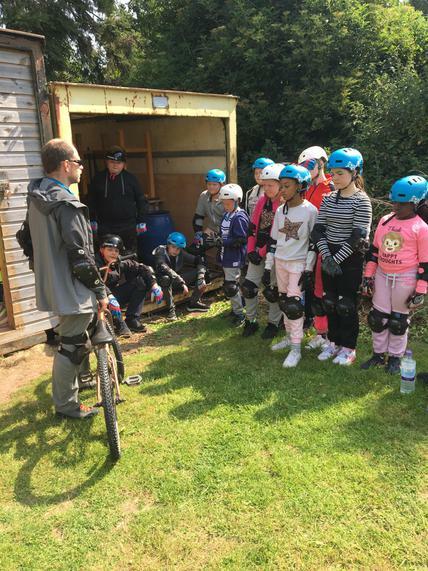 Group 2 tried BMXing, archery and forest skills. 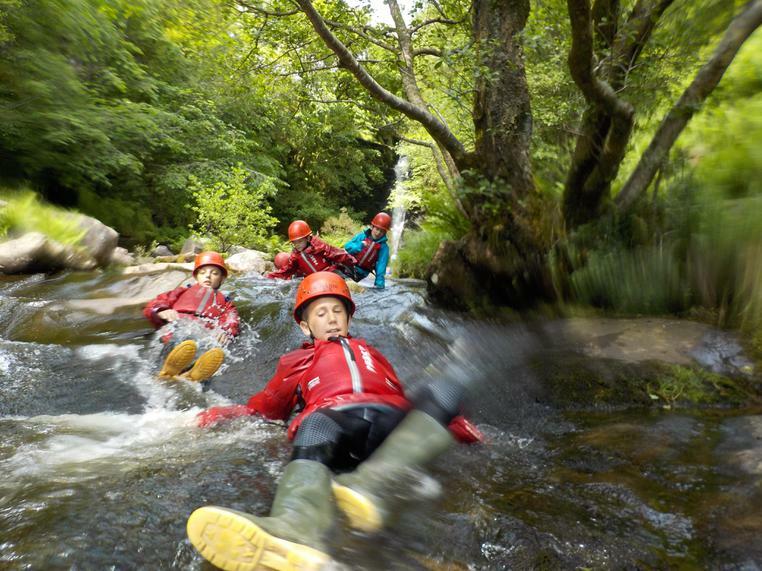 It was another incredible day for everyone and we look forward to seeing what tomorrow will bring. 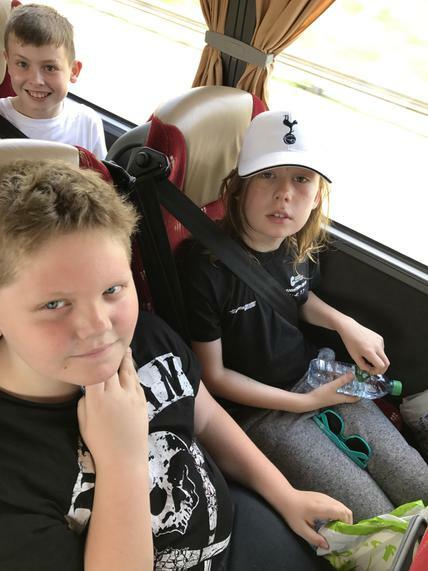 Well we made it! 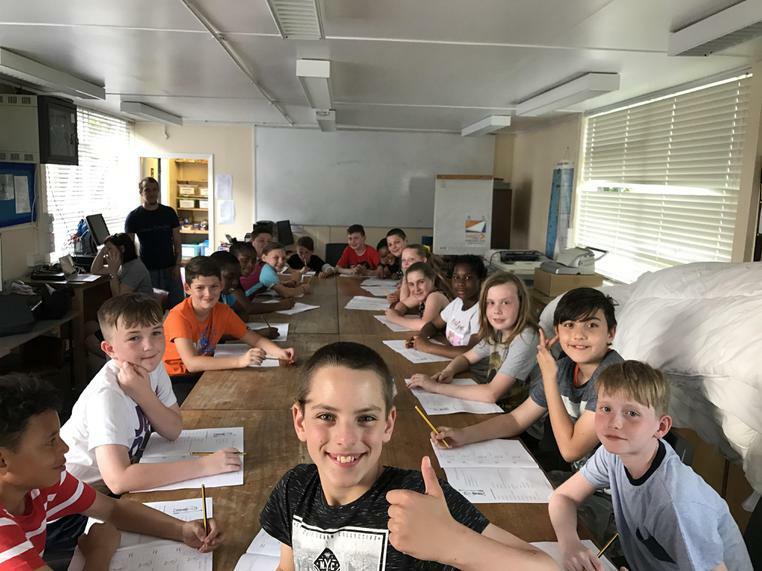 After a slight delay on the M25 yesterday, Year 6 have arrived at Trewern in the highest of spirits. 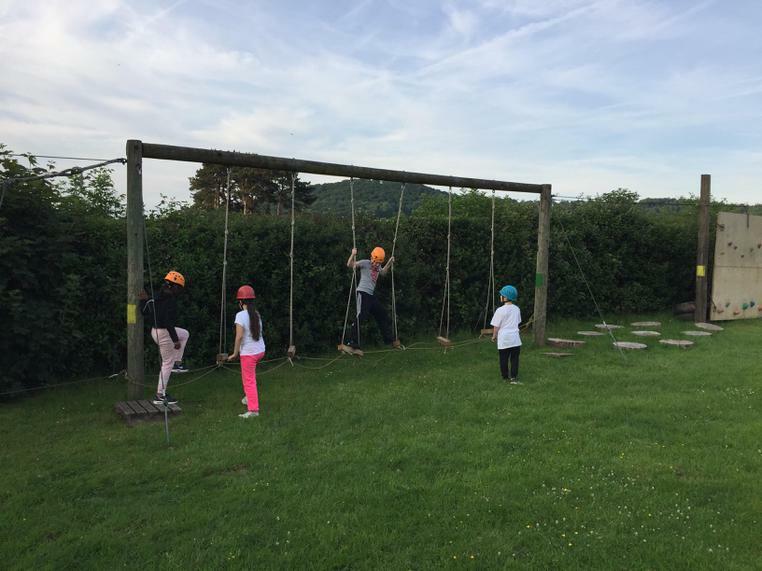 Everybody has been exploring and having a fantastic time - they are a credit to the Godwin name. 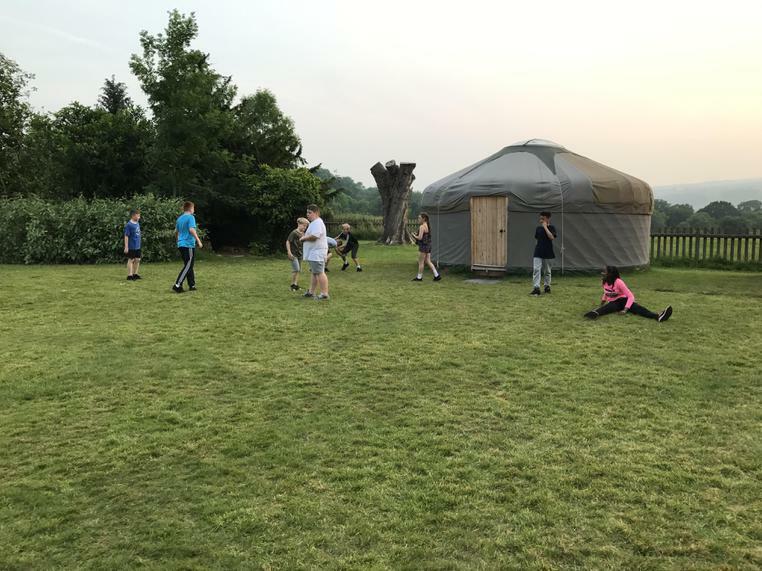 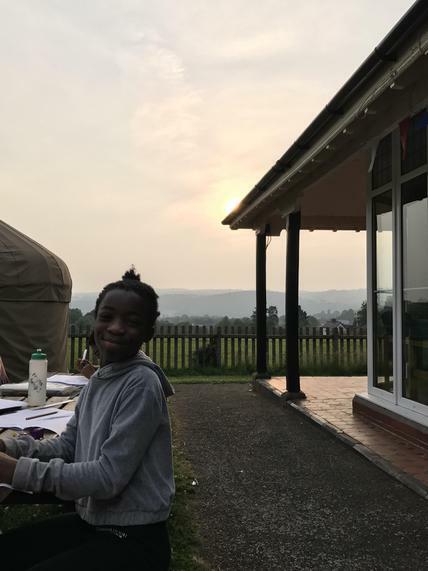 This morning began with most children waking up before six am (much to the dismay of the adults) however we are quite sure that this will not be the case for the rest of the week. 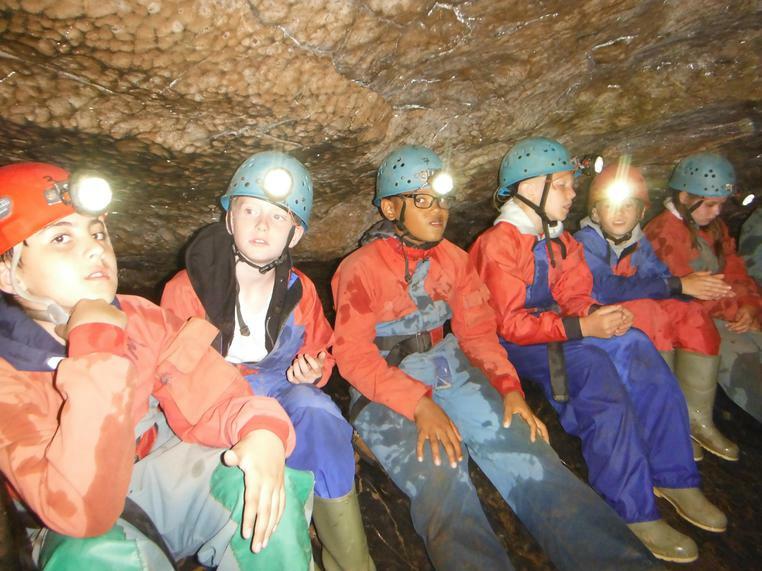 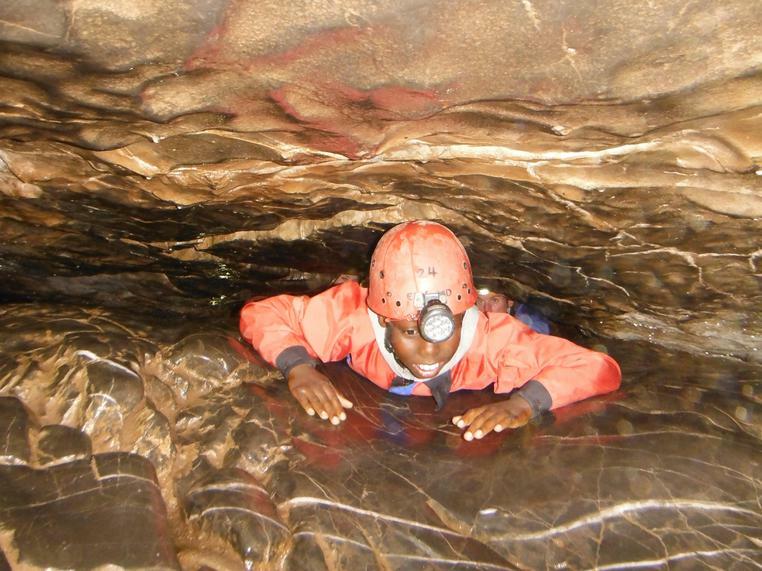 Today, group one tried something Godwin has not done for over fifteen years - caving! 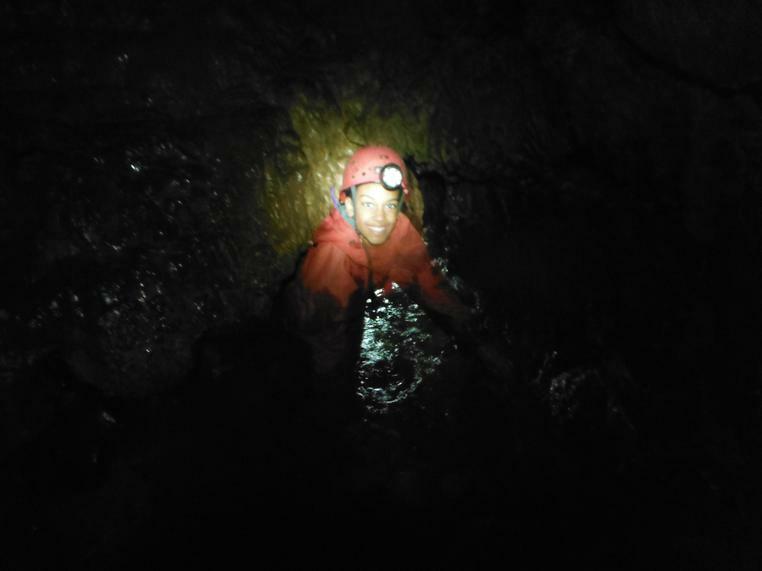 What an experience. 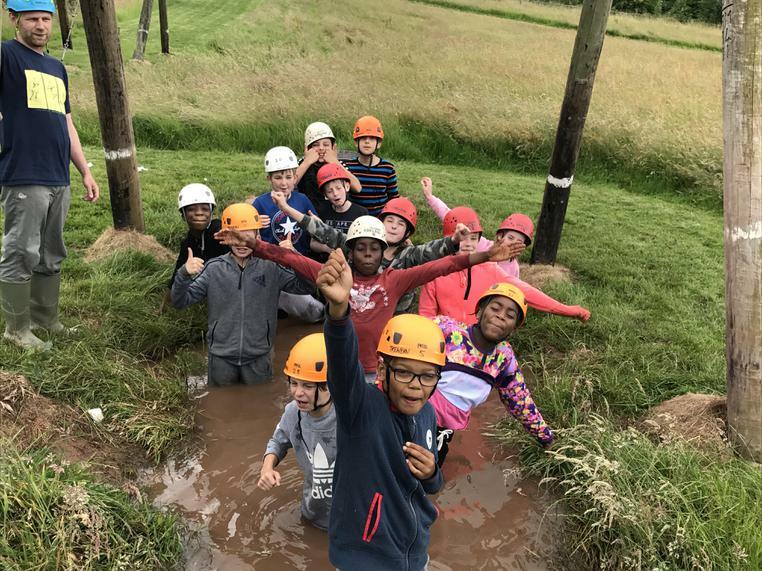 Despite Mr Moran almost getting stuck in some of the crevices, everybody showed incredible teamwork and worked exceptionally well together. 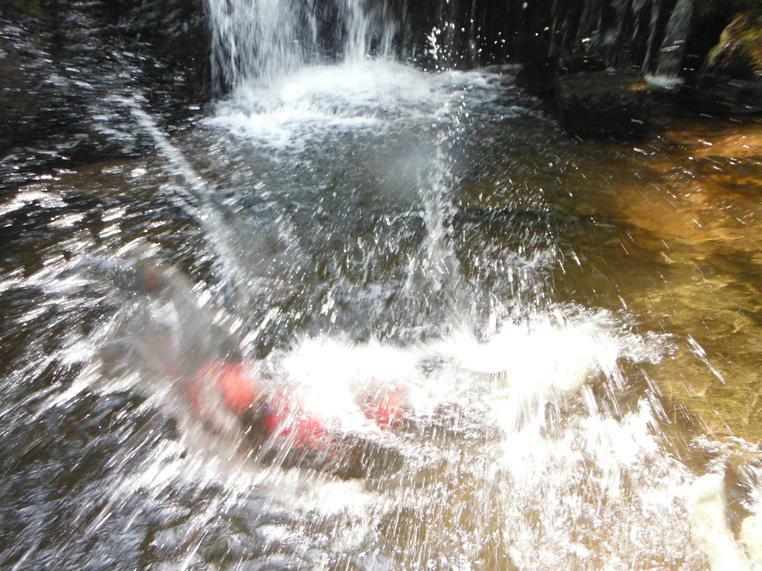 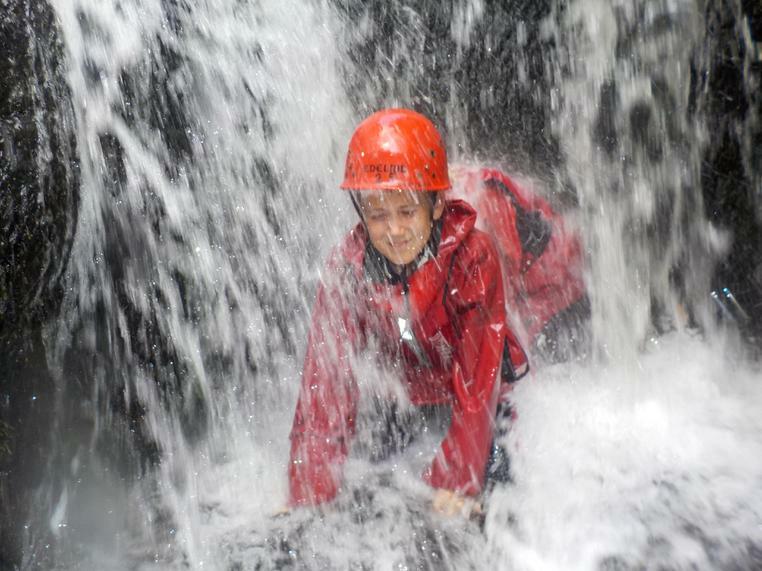 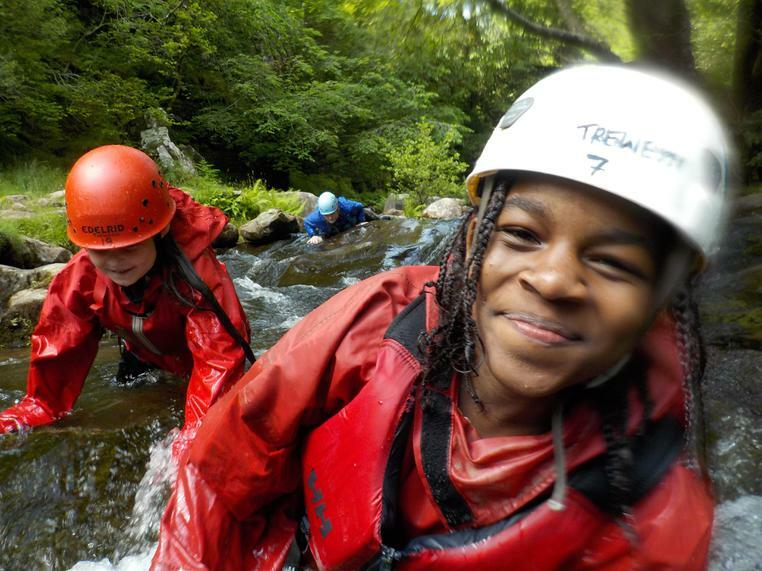 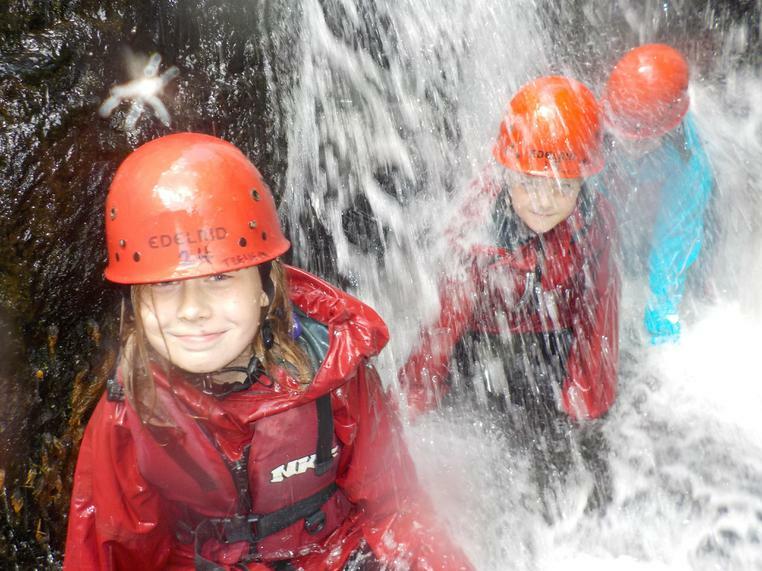 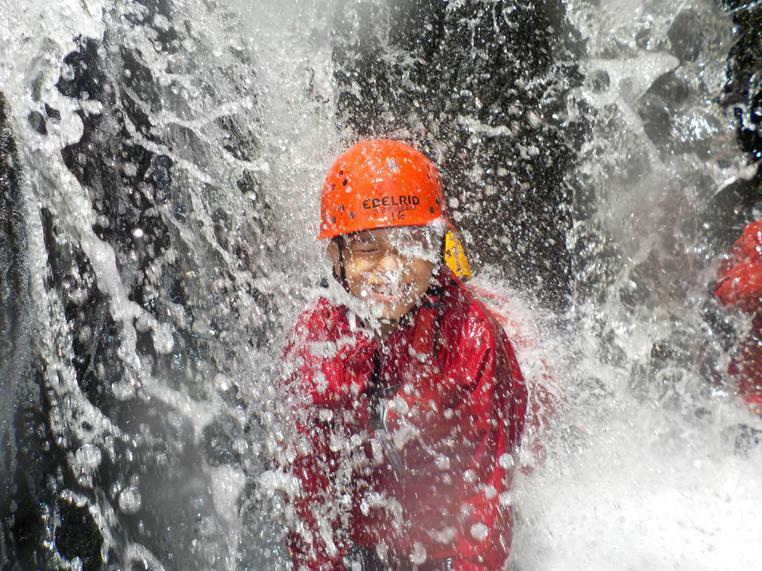 Group two tried their hand at the waterfall adventure which included gorge walking and cooling off underneath a waterfall. 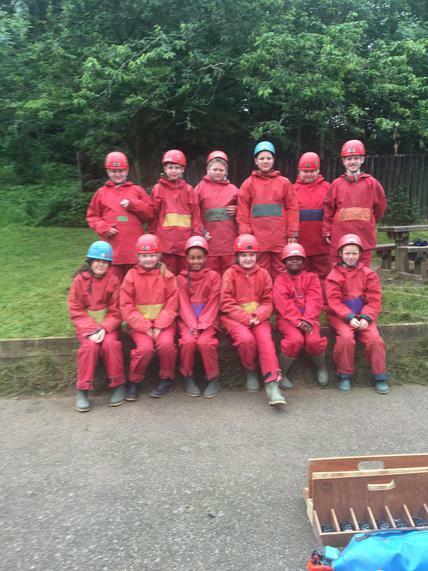 This group had to work together and ensure everybody was communicating - what a fantastic team. 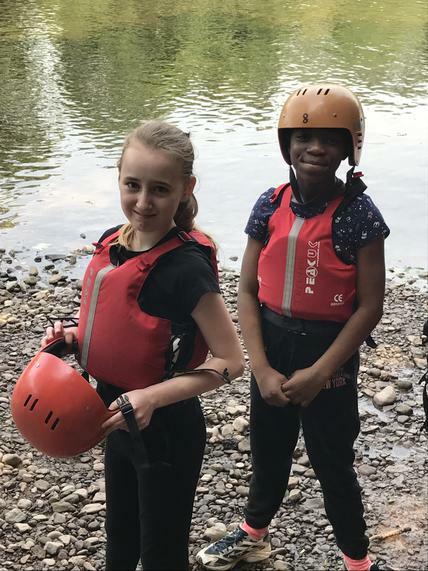 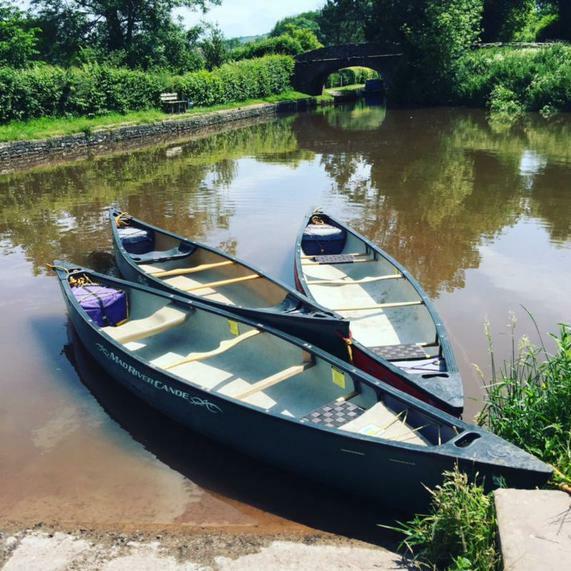 Last - but certainly by no means least - group three canoed down the canal where several children where so desperate to cool down, they capsized their boat! 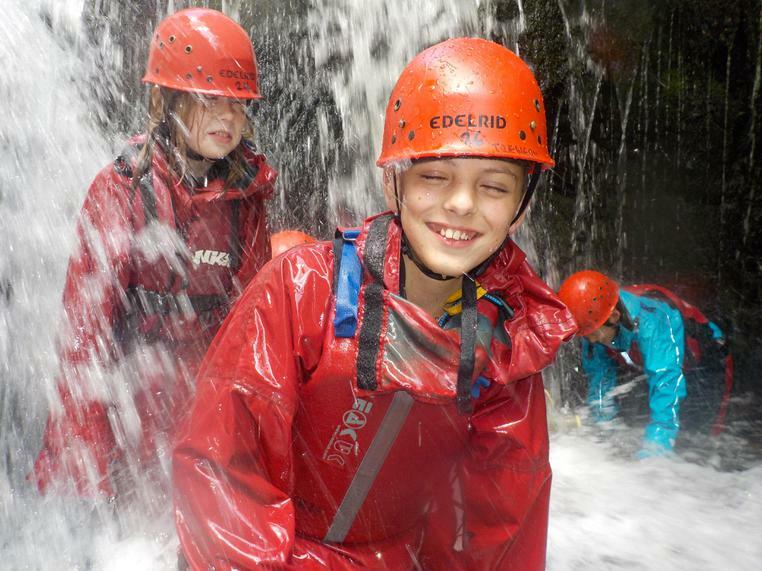 Although the heat has been stifling, everybody has been persevering and having an incredible time. 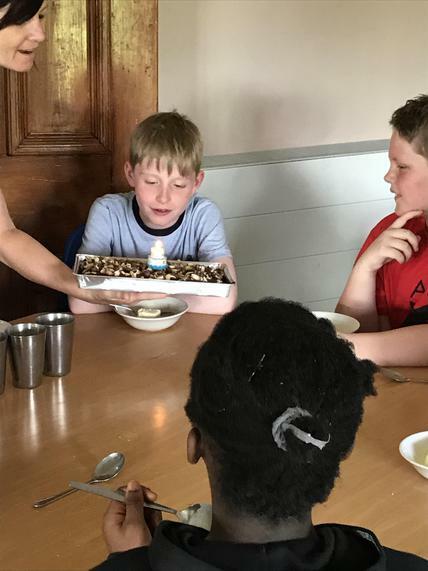 We would also like to wish Dylan in 6M a very Happy Birthday today - he celebrated in style.